Crane tower cameras are best used in the construction of high-rise office buildings and commercial skyscrapers. While many uses of modern drones are still being explored, these aerial robots have already made an impact on the construction industry. Given their ease-of-use, affordability and convenience, they're often used to survey plots of land, map the different areas of a building's layout and even monitor progress. Drones have become a regular part of many toolboxes, but they're not always the best choice. As user-friendly as drones have become, some jobs require a high-tech crane camera mapping system. Best for commercial structures, these are generally more efficient in projects that feature tight spaces or high wind and extreme weather. Like always, choosing the correct tool for the job is critical to ensuring safety and productivity on the jobsite. Most of today's mapping systems are used on a very specific type of crane. 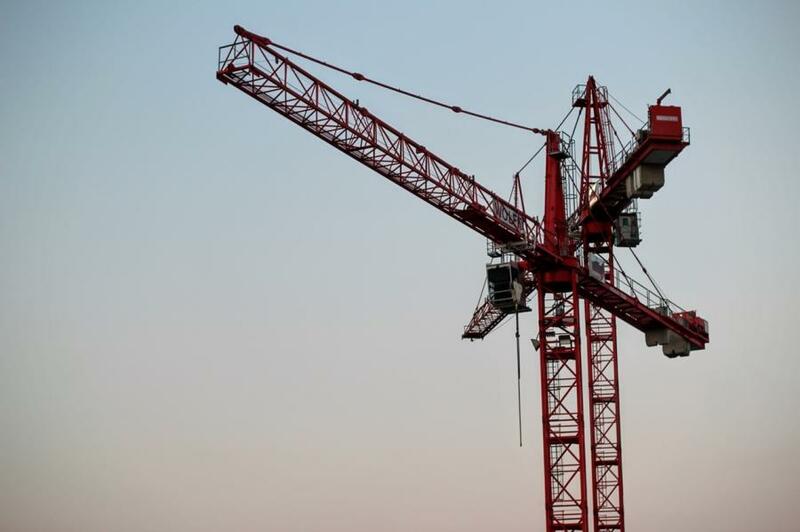 Known as a tower crane, this is an enormous structure that is best used in the construction of high-rise office buildings and commercial skyscrapers. The sheer height of these projects often present hazards through high wind speeds, which could result in damage to an airborne drone. One of the biggest drawbacks of crane-mounted camera mapping systems is the lack of communications between the crane operators and those who are on the ground. As drones are typically operated by a worker who is inside the construction site itself, these devices are preferred when timely communication is critical. Crane camera mapping systems are also useful in the construction of underground projects. This kind of system was used in the digging and excavation of more than 100 feet of earth while building a recent metro tunnel in western France. Crane cameras were used to monitor and supervise work areas that were inaccessible or too restrictive for drone operation. Despite the increasing prevalence of drones, some regions are still relying on large-scale cranes for the brunt of their construction needs. Seattle boasted no less than 58 active cranes as of late 2016, amounting to more cranes than both San Francisco and New York combined. Los Angeles had the second-most number of cranes with 40. Although drones don't work well in windy or tightly confined spaces, they're still useful in many residential and commercial projects. Because most construction boom lifts only extend from 3 to 170 feet, depending on the model, this might not be enough to capture the entire footprint of a large jobsite on the camera. Drones are often used in the design and layout of roads, subdivisions and utility lines. The Oregon Department of Transportation is now working with a number of technologies and different companies to implement more drones in the field. When compared to boom lifts and other jobsite hardware, aerial drones are much safer and far more efficient. In this case, the drone has many advantages over any type of lift or crane. It's maneuverability through the air means it unaffected by uneven terrain or any ground hazards. 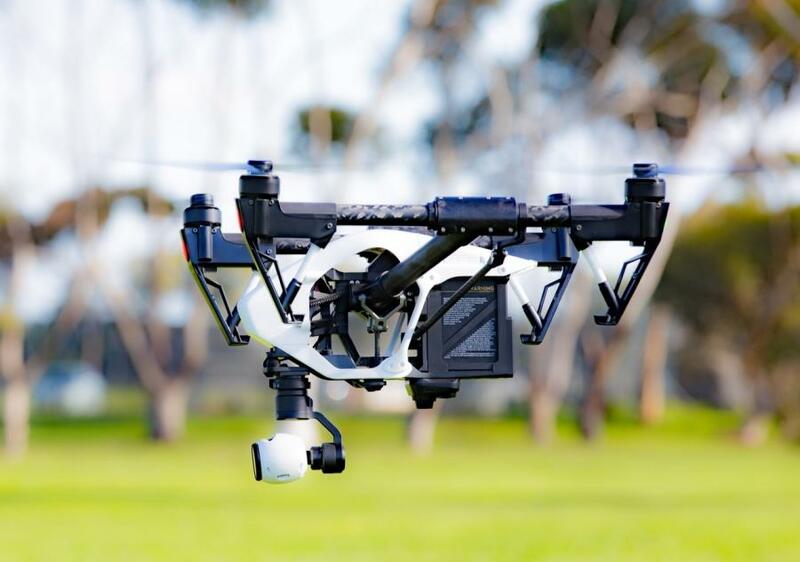 The ability to zoom in with the camera or lower the flying height of the drone is useful when inspecting specific areas or even monitoring employees. Jobsite superintendents relied on drone-mounted cameras to supervise workers when building Kings Stadium in California. Known as the Golden 1 Center and located in downtown Sacramento, the arena began hosting basketball games, concerts and other events in September 2016. Depending on wind and weather conditions, drones can be used in the construction of skyscrapers, too. While this is primarily seen in new and undeveloped urban areas that aren't hampered by neighboring buildings and other big city hazards, some experts believe we'll soon be using drones to build entire high-rise towers.